Note: Sizes on Specifications Tab represent the maximum overall sizes including top overhang and front lip. Remote control operates both the heat and flame settings. Can you tell me the exact measurement from the front foot to the back foot please. 340mm from front foot to back foot. Dimplex Club has two heat settings, but no thermostat cut out according to the Dimplex spec. Really pleased with my purchase, great price, delivery so quick and ordering so easy. It looks like the real thing when switched on, flames look so real and the heat that comes from it makes the room nice and cozy, too hot at times. A lovely electric fan heater that looks like a real log fire. Good value for money. Swift and simple delivery. Easy to operate, and has a simple remote control. The stove works fine and appears to be well made. The log bed looks quite realistic where illuminated, not so at the top. The flame effect is OK and what was expected, at least it should work reliably when compared to the visually better, more expensive, unreliable Optimyst. We are very happy with our fire, it is good looking, fast to deliver and easy to use. We will recommend it to our friends! Straightforward ordering process, fire arrived on time. Very impressed with quality, & have received lots of compliments on it. Only had it on low heat setting so far but seems to give out a good heat, would recommend. Very pleased with my purchase. So far working well the flame is very good. In my opinion a good buy. Good price .Quick delivery.Looks lovely we are very pleased with it. The price was the best i could find. It was very easy to order and was delivered very quickly. The fire is very good quality with a lovely flame effect. It is substantially heavy. It warms our living room up very quickly and is not noisy. Love it. Looks great in my fireplace. Very, very pleased with the fire, and excellent service thank you. Works well, as promoted. Easy to control. This fire is gorgeous we have the flame going all the time we love it so relaxing. The fire looks great and works really well. This stove is absolutely adorable. It has oodles of authenticity , and looks fabulous in the chimney breast of my living room. Lovely realistic looking fire! Love the optiflame effect. Fan is quiet yet very effective. This was an excellent purchase. Just what we wanted, price very competitive, and delivery exactly as stated by the seller - what more could we ask? I am happy with this in a holiday flat as back up heating. Looks good. Very pleased with this fire. it is for the conservatory and is superb. Serve from this company was exceptional as it was delivered within 4 day even though it was ordered over the Easter break. Thank you very much and would not hesitate to recomend to family and friends. Great fire just what we wanted. I bought this electric fire purely for the effect as we are not able to have a real fire in our lounge (too small). It is absolutely perfect and looks so realistic. 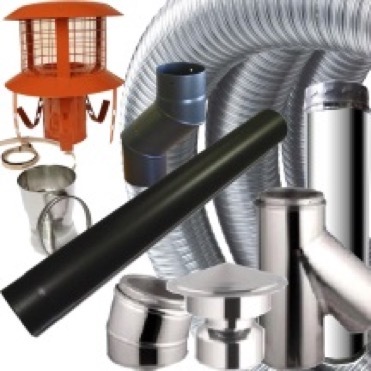 I also purchased the fake flue just to complete the look. It has had a few of our friends fooled initially! The fire has two settings and, having tried it, kicks out a fair amount of heat. The noise is what you would expect with a fan heater. 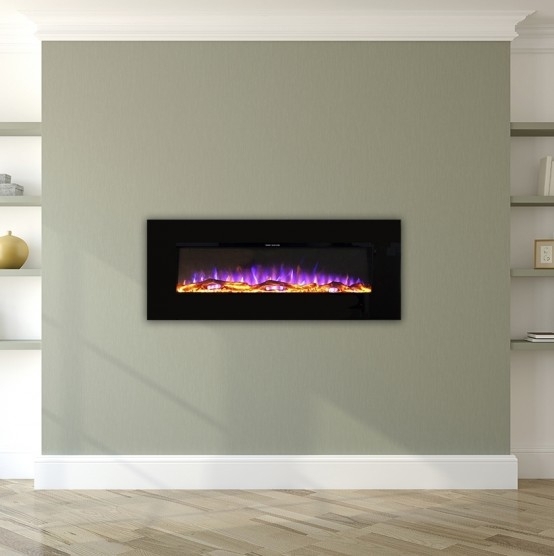 The LED fire effect can be remotely switched on without having to activate the heater. If you want the heater on you will have to get off the sofa/chair and do it manually. The price through Gr8Fires was the best I found on the internet. Very happy with my purchase. what a lovely electric stove which sits on my black hearth in front of my open coal fireplace and is a great substitute when i do not feel like lighting a real fire. the coal effect and flames are so cheering even when the fan heater is not activated. very impressed with the delivery which was within the specified time. obviously the fan heater is quite noisy but you soon get used to it. an excellent price too as it was reduced. Great little fire that warms a small room up quickly. Looks great and a very effective glow from flames. This is the second Dimplex Club fire we have purchased and would highly recommend it. Very quick delivery of the item and it arrive when they said it would. the stove was excellent value for money and considerably better value than other sites I visited. the stove does exactly what we wanted it to do so very pleased with it. a first rate seller and one I would recommend, would certainly use them again. Originally bought the white model from Homebase but it didn't look right. This was the best online price and I'm pleased with all aspects. It looks very good on the hearth, the fan is very quiet and when I returned home in the snow last week to find the central heating had stopped, it gave immediate warmth. Quick delivery, well packed, and excellent fire. So pleased with my purchase. The fire we ordered was superb. Ordering on line was so easy and the short period of time to deliver was outstanding. Little let down with the remote. The remote only controls the log effect, either off or on. You cannot control the 2 heat settings. These can only be put on manually. Fantastic service delivery in ,3day's. Fire effect so good it looks like it's the real thing ! Excellent Product and service along with advice given befor we finalised our purchase. I ordered my fire along with a slate effect base and pipe. Before doing this I spoke to Customer Service at GR8 who were extremely helpful and friendly. 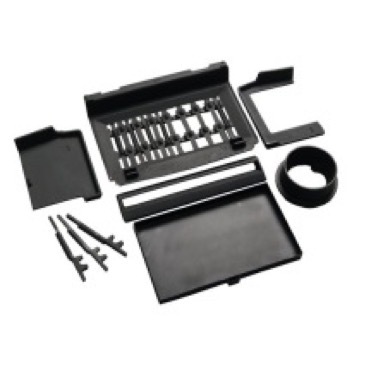 The delivery was efficient and on time and the product did exactly what they said it would. Overall we could not find any fault with either the service we received or with the product we bought. I'm delighted with my purchase it really looks good. it arrived three days after I ordered it.l have now purchased the flue pipe it really sets it off. I would highly recommend gr8 fires. Looks lovely! very effective flame effect. Superb service and delivery. Fire looks very effective and makes you feel warm even without the heat on. Exactly what we needed to create a feature in newly decorated lounge. Well what can I say delivery was excellent, price was brilliant affordable. Fantastic fire for the money just what I wanted. People think it’s a real log burner when they come in. Excellent stove. I am really pleased with it. It looks like a real fire and I have had so many positive comments from visitors. Heats up my living room in minutes. I was impressed with quick easy ordering and very fast delivery. Thank you gr8fires. Very realistic electric log fire, even with just the light on the flames look very realistic and gives a 'warm' feeling. Excellent price even with the delivery charge, couldn't find it cheaper in any other stores. 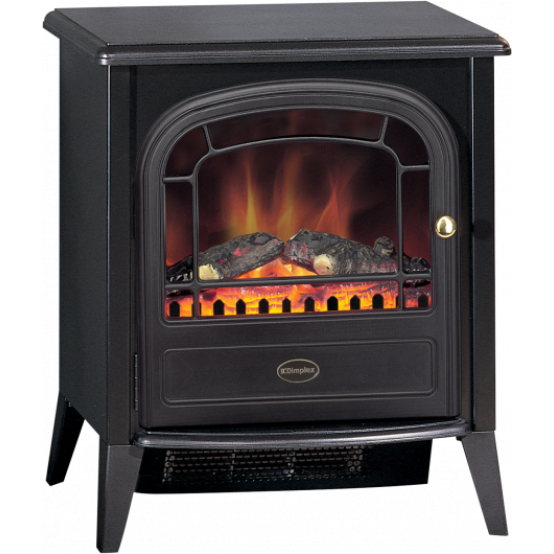 Had a lot of positive comments from friends and would thoroughly recommend it to anyone wanting a electric remote stove fire. Everything exactly as I wanted!! I read the reviews regarding the fire and the company , and they were spot on. Would recommend to friends . the fire is very good just what we wanted very good service brill. Excellant. A great company. great products. I would recommend Gr8 fires to my family and friends. They are just brilliant. When you read their descriptions on all their products, it's all exactly that. Quality and a price to beat all. should you need to have words with Gr8 about anything, it's all very professional, and all dealt with in a manner you rarely see today. The good old fashioned way. Excellent. We ordered our fire Last October. Two members of my family were so impressed with our new fire... another 2 fires were ordered before Christmas. So realistic the log fires effect. So warm on the low setting. So attractive in the lounge . Believe it or not, the fire is a conversation piece when visitors call . Nothing but praise. Thank you Gr8. 10 out of 10. This is my second purchase from GR8 Fires. This Dimplex is far better quality than the cheap lookalikes, but is much heavier in construction and looks like a real log burner. Relatively quiet fan and the remote is very convenient. great feature fire, heat good, only draw back is that the new fires seem to produce a lot of fan noise. Really delighted with the product! Excellent service and delivery bang on time. every thing it says, marks out of 10,= 10. Very pleased with this fire it is very effective the flame looks real & heater works well. Looks fantastic in our large fireplace makes the room more cosy & having a remote control to turn the flame on & off is brilliant! 5 stars! Only briefly used the heat as it's still early autumn, but just having the stove with flame effect has made the lounge feel so much cosier and more 'complete'. I was so impressed with this fire I bought two ! ...looks great and very well priced. I found Gr8 Fires on e bay and in any contact I had with them I found them Courteous and Professional. I would recommend Gr8 Fires. It's a great llooking fire with a really nice flame effect. Delivery was prompt and the value excellent, so I am very pleased with this purchase. Excellent on all fronts,delivery,service and product. Cheapest price I found by a long way. Looks great on or off and arrived just as promised. Very pleased. Excellant value for money - a lovely fire. Good communication, speedy delivery - narrowed down on the day to a one hour slot. I love this fire! It is very expensive looking and the flame effect is very realistic. It gives the room a lovely warm cosy feel even with just the flame effect on. I would recommend it 100%. Excellent price, was able to order even when stock was not available. Item arrived very quickly once back in stock. Warms are conservatory in quick time. when using light on only, powerful convector soon heats the room up. Helpful service. Prompt delivery. The best and most realistic heater of its kind on the market and at a very competitive price. Product was exactly what we wanted. Delivery was prompt and kept fully informed. Would recommend seller. delivery on time, unpacked to see if damaged perfect, plugged in and warmed our room up on setting two in twenty minutes,looks just like the pictures show on the box, brilliant. I rang my order through and asked several questions before purchasing. The salesman was efficient and comprehensive in his replies. Delivery was as scheduled and I received a text from the courier informing me of my time slot which was extremely helpful. The fire itself has met all expectations. It looks great with just the flame flickering and has a slight hum when the motor is running but nothing too significant. A great price - £80 cheaper than my local company and delivery was free. Great product for taking the chill off a room quickly, certainly makes you fee like you have a real stove , without the cost, chimney flues and the need for buying solid fuel and lighting it ! The Dimplex Club arrived on the day promised. We like the fire and the "smoldering ember" effect is fascinating as it varies in brightness leading to no end of speculation as to what governs the brightness. The flame effect is so close to a real fire that immersed in a book and glancing up at the fire, the first automatic reaction is "Must turn that down or we'll be too hot". The fire replaces an oil burning stove and the Dimplex effect is uncannily similar to the real flames of that earlier fire. wanted. And in the end it was only 1 month from ordering. I am so pleased I waited and the quality is excellent. And next year I am going to have a new surround and a electric fire. For my front room and I will buy again from Gr8 fires. Customer service is excellent, they keep you informed. excellent service reasonably priced and delivered earlier than expected. A lovely realistic fire,fast delivery too . Very good service fire perfect with good flame effect. First one delivered had to be returned as it had a faulty motor; replacement had to be returned as it was dented; but next one was fine. However, even with these hiccups gr8fires dealt with them quickly and efficiently. It is a lovely fire and just the flame effect on gives off a really homely feel. I also purchased a Dimplex hearth for it to sit on which looks great. There was slight delay in delivery as it was out of stock but my emails were answered promptly. Very happy with my purchase, fantastic price and would definitely recommend GR8 Fires! Very attractive fire with a good flame effect. Price was the best we could find. Service was first class. Very impressed. I am delighted with the stove. It was easy to install just plug in and go. We just have the log effect on which creates a lovely homely and cosy feel. The log effect is very realistic and is brilliant value for money. Fire great. Delivery awful. Only sent email 10 mins before delivery?? Being disabled gave me NO time to arrange help. excellent fire, flames look real and nice touch in our living room, great buy. Thrilled with my new fire!!!! Very pleased with my new fire it completes the look of my inglenook fireplace. I saw this fire at a local stove shop and liked it. Looked on line to find out more details on it and spotted Gr8 fires where selling his for £100 cheaper!!!! The first stove I received was dented but had really good service sending it back and delivering a new one. Very pleased with it so far. Really pleased with the fire. Looks really effective Customer service and delivery excellent. We are absolutely delighted with this stove. It looks like the real thing - the flame effect is so good. It was a very good price and was delivered very quickly. The fan heater is effective and not intrusive but we mainly just have the flames on. Very pleased with this stove just what I was looking for. really authentic looking, gives you that cosy feeling cant wait for winter!!!! Great realistic looking fire at a great price ! A lovely realistic looking fire for a great price. Flame effect is terrific and log bed has a glow like ember shimmering when flame effect is off. It makes it look like the logs are cooling down and still hot underneath. I would recommend this fire to anyone who doesn't want the trouble of a real log burner. Nice stove with a good flame effect, the structure of the fire is very light which means holding in place with one hand to open and shut the door, not used the heat setting yet but I expect them to be fine. The product is a little expensive but I have read good reviews and expect it to last a long time. very pleased with the fire, arrived on time as estimated and looks a complement to or conservatory. easy to install and easy to control. I look forward to the day when I can afford to install a real wood burning stove, but I know that won't be for some time to come. As an interim measure I bought this handsome little stove - mainly for the flame effect as I have a radiator in the room. However, I am very happy with the result. It makes the room so much cosier. I now call it the snug! Love this fire both the log and flame effect are very realistic looks brilliant on our natural stone fire place. Have bought a lovely black coal bucket and filled it with rustic logs to finish the look. Family and friends visiting over Christmas all said how lovely and real it looks. The service from gr8fires was excellent from ordering to delivery only took 3 days and the price was amazing. Would highly recommend. Was a little disappointed as I had to chase coals, this was a bit misleading as was expecting a choice of logs and coals, and when finallaly delivered on Christmas Eve, got log effect and no coals, but so far, pleased with product. Gr8 Fires reply: This fire does not come with coals, it features a molded log effect fire bed. However we were able to source some coals for you on this occasion. Looks good but the door doesn't shut that good, it is just a plastic peg that pushes into a rubber grommet. It took a bit of moving about to keep in in place without it just springing out. Lovely fires made a great present for my parents. They were over the moon. Realistic looking fire, remote malfunctioned after 2 wks but no problems as replacement sent out.Good value for money.. I love this fire, I cannot have a real log burner, I live in an old beamed converted barn and when I turn it on just feels so warm and cosy. I have the chimney so many people think it's the real thing. Price was good,,quality was good, delivery was excellent. A good looking useful product. brilliant, only 3 days from ordering to delivery, fire is amazing well pleased. Excellent service, product and price! Real and cosy looking,delivery good. 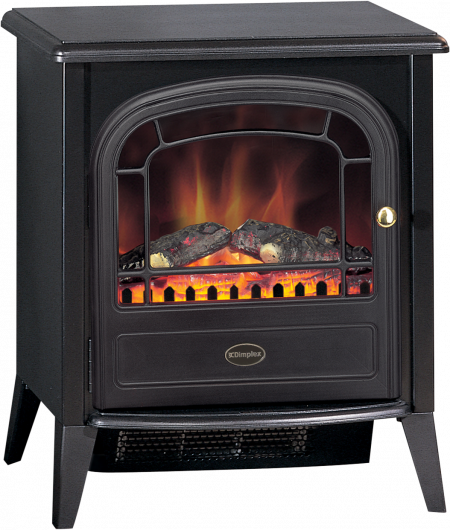 This stove is a Must for anyone who HAS to have an electric fire,fits as though it was made for my room,clean lines,and warms the room quickly. Everyone thinks it's a log stove when they first walk in the room it's so real and cosy looking. Am highly delighted,with the look,the cost and delivery,well done Gr8 fires! I AM SO DELIGHTED WITH MY NEW FIRE IT IS SUCH GOOD QUALITY AND THE PRICE IS FANTASTIC.THE FLAME EFFECT IS BRILLIANT AND IT GLOWS EVEN WHEN OFF WHICH MAKES THE SITTING ROOM COSY WITHOUT HEAT.THE DELIVERY OF MY FIRE WAS SO FAST I AM SO HAPPY WITH GR8 FIRES SERVICE. A very good fire and an excellent price, although there is an annoying humming noise, which is probably due to the fire not sitting on the slate hearth correctly. Really impressed with the fire, looks very good with just the fire effect and is a good supplement to central heating. Excellent price and very quick delivery from Gr8fires, thanks. We are very happy with the stove. It looks great and gives a lovely atmosphere to a dull room with just the light glowing. The fan noise is bearable and is very efficient at heating our large hall. As another reviewer said, the remote only controls the light, but this is not a big problem. The delivery was extremely quick. Excellent value, on time delivery, generates heat as promised, would use Gr8 again. Very good buy, friendly staff. We are very pleased with the product. Saved a lot by purchasing from GR8 fires. Delivery was on time. Good service. We have nothing but praise. Very pleased with this product purchase. We stayed in a holiday cottage in Northumberland and they had one, it was brilliant, warm and cosy with the flame effect on and so efficient at heating the cottage. A very good buy. Thank you. Great fire,very good delivery service,fantastic price. very attractive and reasonably priced, choice of colour for electric cabling would have been appreciated however not so particularly important. We picked this one because it was reasonably priced for its size. It fits our fireplace as though it were meant to be there. Poor fitting door catch. You have to hold the fire down to open the door or find yourself dragging it acroos the hearth. Its equally difficult to close. The remote control only operates the fire display not the heating settings. The instructions for operation are very poor. I am very pleased with my new Dimplex Club Electric Stove. It feels so warm and cosy with just the flame effect on. I bought this to replace a coal fire and it certainly has not disappointed me. Its great just to flick a switch and not have all the mess of a coal fire. I would certainly recommend this. Also the delivery was delivered quickly and efficiently.